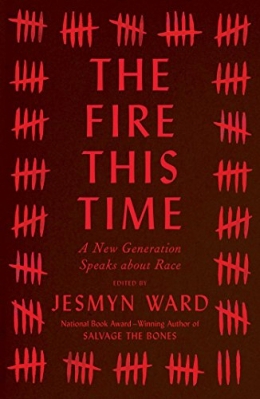 "The tradition" / Jericho Brown -- Introduction / Jesmyn Ward -- Homegoing, AD / Kima Jones -- The weight / Rachel Kaadzi Ghansah -- Lonely in America / Wendy S. Walters -- Where do we go from here? / Isabel Wilkerson -- "The dear pledges of our love": A defense of Phillis Wheatley's husband / Honorée Fanonne Jeffers -- White rage / Carol Anderson -- Cracking the code / Jesmyn Ward -- Queries of unrest / Clint Smith -- Blacker than thou / Kevin Young -- Da art of storytellin' (a prequel) / Kiese Laymon -- Black and blue / Garnette Cadogan -- The condition of black life is one of mourning / Claudia Rankine -- Know your rights! / Emily Raboteau -- Composite pops / Mitchell S. Jackson -- Theories of time and space / Natasha Trethewey -- This far: Notes on love and revolution / Daniel José Older -- Message to my daughters / Edwidge Danticat.